I am not convinced that this argument works in the context of the UK-EU relationship. It is uncontroversial that the prerogative power to conduct foreign affairs includes entering into and departing from international treaties. It is also uncontroversial that, with a few exceptions, prerogative powers cannot be used to change domestic statutory or other common law rights. When Parliament legislates in a field currently occupied by a prerogative power, it is a question of statutory interpretation whether the legislation effectively limits the operation of that power by occupying the regulatory field in question, or whether it leaves the power in place alongside the statute. This is not always an easy question to answer. International treaties which require a change in domestic law create a potential problem, in that the Government risks binding the United Kingdom in international law to achieve a result which Parliament then refuses to deliver. Of course, in practice this risk is unlikely to materialise, since the Government also commands a majority in the House of Commons. But in such cases, one solution is to defer ratification of the treaty until such time as Parliament has taken any necessary legislative steps. An alternative solution is for Parliament to give an ongoing power to the Government to make whatever legal changes are necessary to bring new international obligations into effect. This second route is the one adopted by the Taxation (International and other Provisions) Act 2010, which Finnis appeals to in his argument. Section 2(1) of that Act gives the Government the power to give effect by Order in Council on an ongoing basis to international agreements providing relief from double taxation. The statute is clear that it leaves intact the Government’s discretion to enter into and withdraw from any double-tax arrangement as it sees fit. Section 2(1) European Communities Act 1972 is very broad in its terms, referring to ‘all such rights, powers, liabilities, obligations and restrictions from time to time created or arising by or under the Treaties…’ These legal positions are given the shorthand term ‘enforceable EU right’. This section is the means by which most primary and secondary EU legislation comes to have force in the United Kingdom. Section 2(2) also gives a standing legislative power to the Government to implement any new obligations, such as those arising from EU Directives. Finnis argues that the terms of section 2(1) are broad enough to encompass the removal of enforceable EU rights in accordance with the Treaty of European Union, i.e. by triggering article 50. On this argument, the statutory ‘conduit’ by which EU law flows into the UK could remain in place, having no effect on the prerogative power to remove its entire substantive content. One might think that the term ‘enforceable EU right’ implies at least some content. But in the same way as the founding treaties originally had no process for member state withdrawal, the 1972 Act simply does not envisage leaving the EU. It is silent on the matter, and its silence is ambiguous. Does it leave the prerogative power to withdraw from the EU intact, or has it occupied the regulatory field? Here are four problems with Finnis’s argument that the prerogative power remains untouched. (1) It logically excludes from the outset the possibility of conflict between statute and prerogative. According to Finnis, either a right has been specifically enacted by Parliament, in which case it survives withdrawal anyway as an independent matter of domestic law, or it is dual-conditioned, in which case it cannot hinder the process of withdrawal – it simply lapses. His argument does not allow for a third possibility, which is that statute law enacts specific rights which depend for their practical enjoyment on continued membership of the EU. Just to pick one example, what are we to make of section 79 Local Government Act 1972? This gives a right to ‘citizens of the Union’ resident in the UK to be elected members of local governments. The section defines ‘citizen of the Union’ by reference to article 20(1) Treaty on the Functioning of the European Union (TFEU). Is this a right which survives independently of withdrawal (after all, citizens of the Republic of Ireland also qualify for election) or does it lapse when the UK ceases to be party to the TFEU? Perhaps, instead, it occupies the middle ground, by necessarily presupposing membership. Of course, Finnis is correct that rights derived from international law require other states party to adhere to the treaty on an ongoing basis. But the question is not whether EU rights would survive the withdrawal of all other member states from the Union – clearly they would not. 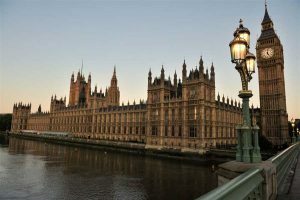 The question is whether the legislation has made EU rights ‘statutory’ in a way which prevents the UK from unilaterally withdrawing without further parliamentary approval. This constraint has to be logically possible. And if it is logically possible, we can only be sure that there is no constraint once we have reviewed the entire field of EU law in the United Kingdom. (2) It ignores the distinction between the treatment of primary and secondary EU legislation in the ECA 1972. In section 1, the ECA 1972 lists the Treaties which underlie the European Union, as well as those by which individual states become members. Successive changes brought about to the original founding treaties by the Single European Act 1986, the Treaty of Maastricht 1992, the Treaty of Amsterdam 1997, the Treaty of Nice 2001 and the Treaty of Lisbon 2007 were all given effect in domestic law by Act of Parliament, amending the ECA 1972. In some cases this legislative process served as an analogue to approval by referendum in other countries. Each country delayed ratification until it was able to give legal effect to the negotiated changes, and the new treaties did not enter into force until all the countries had ratified. The Maastricht Treaty nearly failed on account of these processes, and the Constitutional Treaty actually did. It must follow that changes to the treaties also require statutory amendment. Imagine, for example, the situation in which the UK negotiates a change to a treaty currently listed in the ECA 1972 – say a new version of article 45 of the TFEU limiting the free movement of workers to and from the United Kingdom. Until such time as the Act is amended by referring to the new treaty which brings about the change, the courts would properly hold that the change had no legal effect in domestic law. In practice, the British Government would not ratify the new treaty without securing an amendment to the ECA 1972 first. This practice is reinforced by the European Union Act 2011. Section 2(1) of the 2011 Act provides that a treaty which amends or replaces the TEU or TFEU is not to be ratified unless a statement relating to the treaty is laid before Parliament, the treaty is approved by Act of Parliament and that a condition requiring a referendum (or exempting from that requirement) is met. At the very least, Finnis must be forced back on the position that any change to primary EU law except those consequent on complete withdrawal, requires statutory authority. But that is already a considerable restriction on the power to conduct foreign affairs. And it makes it very hard to construe section 2(1) ECA 1972 as a mere conduit through which enforceable EU rights (as they exist from time to time) are made available within the United Kingdom. This argument only works for secondary EU rights which are created and may be modified under the existing EU legislative arrangements, or for new interpretations of EU legislation provided by the Court of Justice. In the case of rights directly derived from primary legislation, section 2(1) is not simply a conduit. Rather it incorporates by reference the current content of the treaties enumerated in section 1 into domestic law. It is as if the text of the relevant treaties were appended in a Schedule to the Act. Removing these rights is not within the section. (3) It mistakes the role of the ECA 1972 in securing the distinctive supremacy of EU law in the United Kingdom. The High Court draws attention to the argument that the ECA 1972 is a ‘constitutional statute’, but misses its significance. As introduced by Laws LJ in Thoburn, the practical significance of that term is that the Act cannot be impliedly repealed by subsequent legislation which is implicitly, and possibly even explicitly, incompatible with EU law, while the UK remains a member. In itself, this does not seem to affect the question of whether the Act excludes the prerogative power to terminate membership. Any statute might do that. But the reason that the normal doctrine of implied repeal is modified is that the courts have unusually come to treat the ECA 1972 as atemporal legislation; it is as if Parliament wills the continuing supremacy of current EU law at every moment of time, even now after the result of the referendum is known. As section 18 of the European Union Act 2011 confirms, EU law only has that distinctive status because of the ECA 1972. It is hard to see how this perpetual intention to maintain the overriding rights of individuals as EU citizens can be hollowed out without further parliamentary approval. Supremacy carries in its wake the legal obligation to refashion domestic law to give practical effect to EU law on an ongoing basis. The effect of this transfer is not simply to empower European institutions to change the content of ‘enforceable EU rights’ as a mere supplement to English law. The ECA 1972 also authorises consequential changes to domestic law, some of which have only been fully realised over time. One need look no further than the remedial aspects of Factortame itself to see this principle of the dynamic integration between European and domestic law in operation. Although the ECJ phrased its judgment in terms of the obligation to ‘set aside any rule of national law’ which precluded the grant of interim relief, this was logically indistinguishable from the grant of a new power. Domestic law remedies were changed by our membership of the European Union. (4) Finally, it leads to strange results. Not all EU law takes effect in the UK by virtue of the ECA 1972. Some EU law is brought into force in the content of other Acts of Parliament, and some by subordinate legislation under delegated powers. While the content of enforceable EU rights taking effect on an ongoing basis by virtue of the ECA 1972 would disappear on withdrawal, those parts which have been enacted as domestic legislation would remain. In practice, specific areas of EU law in the UK are made up of a mixture of legal sources. It would be a pure fluke if that distinction mapped onto any rational policy-based distinction between those parts of EU law which a post-Brexit Government would want to retain, and those it would wish to discard. To conclude, prerogative powers are subordinate to statute in the sense that even where they remain alongside statutory powers, their use must be compatible with the overall terms of the statutory scheme. The statutory basis on which the UK has been a member of the European Union for the last 44 years shows a clear intent that the basic terms of that membership are settled by Act of Parliament. Those Acts of Parliament have generated an important legal position for individual citizens which is a complex and unique hybrid of international and domestic law. They are both statutory and European rights – not either/or. When Parliament passed the 1972 Act it joined the United Kingdom’s legal systems to a supra-national one which has the capacity of generating new and overriding rights and duties in domestic law over time. The basic terms of this new and developing legal relationship between the European Union and the United Kingdom have come to be tightly controlled by Parliament, at least in part because of this principle of legal integration. On the operation of familiar principles of constitutional law, as identified by the High Court, the United Kingdom cannot now disentangle that complex legal status without a further Act of Parliament. It follows that there can be no prerogative power to take steps which necessarily bind the United Kingdom in international law to achieving that result. Parliament is the legislature, not the Government, and when it is asked to legislate, it must have a genuine decision to make.